One of the best experiences for a traveler is a change of scenery, and there’s no place to take in the sights like the seaside paradise provided by Australia, winner of the topographical jackpot. The 6km Bondi to Coogee coastal walk provides you incredible views of the cliffs, rock pools and beaches of Bronte, Clovelly and Tamarama (this may be my favourite one to say!). The trail is thoroughly corralled with picnic areas, change rooms and washrooms to accommodate a full day of sight-seeing, picture (and selfie!) taking and sun-bathing. For the thrill seekers and adrenaline junkies that the adventure-laden continent incontestably attracts, there is the flight simulator experience located right in Darling Harbour. Should you choose, you can actually fly a commercial-grade jet simulator – with no experience required! For those who choose not to challenge their heart rates, Darling Harbour is also home to the wallabies and crocodiles ofWILDLIFE Sydney Zoo, the rays and sharks of the SEA LIFE Sydney Aquarium and the tranquility of the Chinese Garden of Friendship, along with a wide range of trendy bars and nightlife to close out the day. After taking in the sights and the thrills, there is always room to take in some history. Hyde Park, Australia’s oldest park, is home to monuments, statues and memorials, including the Anzac Memorial, a picturesque homage to all Australians who served their country. Here you will also find yourself feasting your watery eyes on St. Mary’s Cathedral, an enchanting work of architecture to feed both your inner history buff and artist. 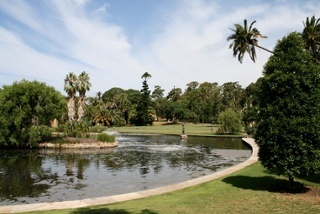 Located in the heart of the city, the Royal Botanical Gardens are a must-see for two reasons: 1. It’s a relaxing (and free!) way to enjoy your holiday, and 2. It offers one of the best vantage points of the harbour city, including both the Opera House and the Sydney Harbour Bridge. The spectacular horticultural hub was established in 1816 and confidently holds the position of being the oldest scientific institution in the country. 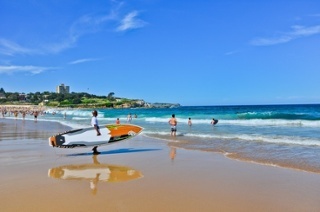 Unparalleled views AND a historic landmark in one Australia points of interest? Yes please! The bustling scene of Sydney’s markets is definitely one to check out, in particular its most popular market located in the famous Rocks district. Open Saturdays and Sundays, the market welcomes passionate buyers and sellers, swarming in and around cobblestone laneways, dancing around unique jewelry, art and nifty finds you wouldn’t be able to find in any ordinary venue. The Rocks Market is open from 10AM to 5PM. 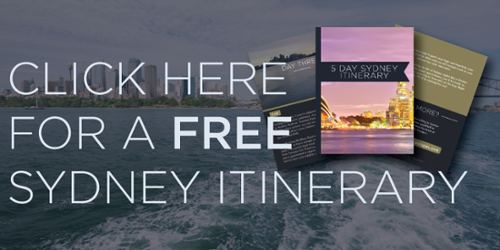 Download our Free 5-Day Sydney Itinerary here!